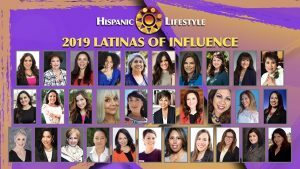 Hispanic Lifestyle is pleased to recognize Janney Marin, better known as Chiquis Rivera, a American singer, author, entrepreneur, and television personality as a 2018 Latina of Influence. 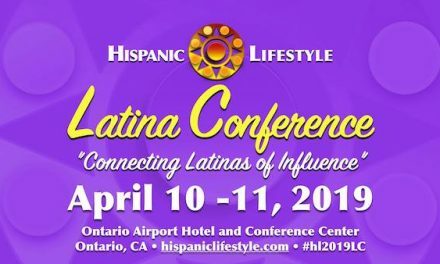 Ms. Rivera along with our entire list of 2018 Latinas of Influence are invited to participate in Hispanic Lifestyle’s 2018 Latina Conference taking place April 4 and 5, 2018 in Ontario, California. The 33 year old the eldest daughter of the legendary Regional Mexican superstar Jenni Rivera. 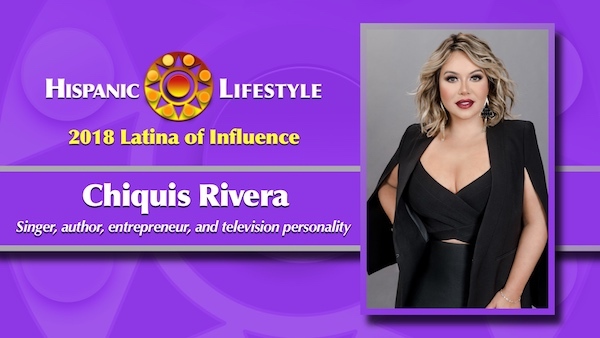 This year will be a very trying time for Chiquis as she tries to juggle her singing career, love life, and “Be Flawless” skincare and make-up line, while continuing to help her four siblings who need a mother-figure in their lives. 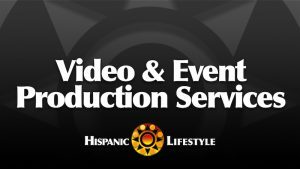 “The Riveras” the hit celeb-reality she also executive produces is slated to premiere on UNIVERSO in March, 11th 2018. The show follows Chiquis and her four siblings Jacqie, Mikey, Jenicka and Johnny as they step out of their mother’s shadow and tackle a whole new set of adult challenges including finding love, losing it and daring to speak their truth and conquer their dreams. Growing up isn’t easy but together they’re stronger. In Mid-March Chiquis is set to release her 2nd studio album “Entre Botellas”. In April 2015, Chiquis released her memoir titled “Forgiveness” which climbed to #15 on the New York Times Best Selling list. In it she reveals that her father molested her when she was a little girl, and details the well-publicized fight with her mother before her death and not being able to say goodbye. 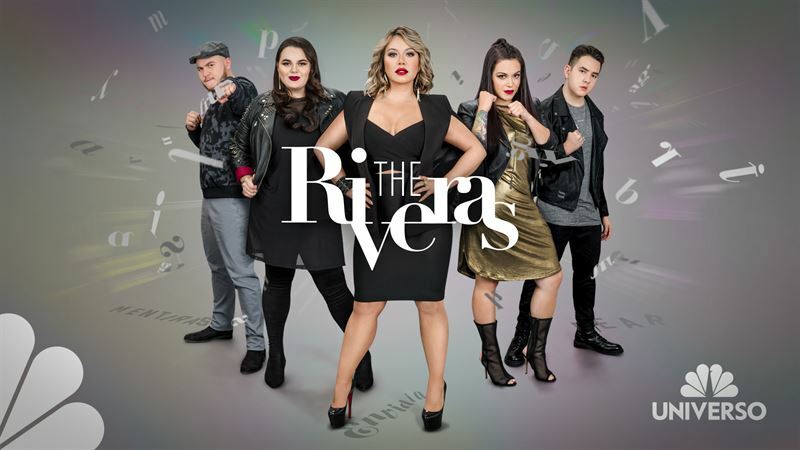 UNIVERSO, is set to premiere season three of the hit celeb-reality “The Riveras” starring Chiquis, Jacqie, and Mike, Jenicka and Johnny, Sunday, March 11th at 10pm /9C. 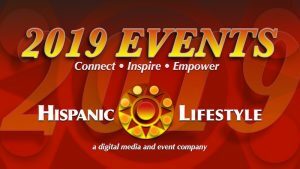 The 14-episode season offers viewers a lens into the lives of the children of the late Regional Mexican music legend, Jenni Rivera as they take on life’s challenges by supporting each other. The top rated show is the only English-language reality about a Hispanic family in the U.S. and its relatability has been the key to the show’s success. 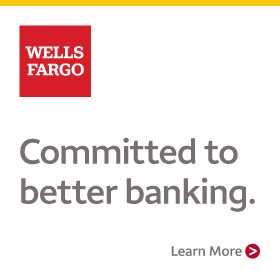 “The Riveras” reflects the diversity in this country, and the fastest growing population. To get a first look of the new season, open this YouTube linkhttps://youtu.be/bLBoX1nyadk. To download press materials, visit EPK site www.image.net/TheRiveras. In this new season, Chiquis gives love another shot with boyfriend Lorenzo Méndez, but struggles with commitment issues as she continues building her empire, touring the country and working on her second studio album titled “Entre Botellas.” Jacqie decides to separate from her husband of five years and struggles to balance her new life as a single mother. Her 70 pound weight loss brings Jacqie confidence and courage as she follows her passion for music. Mike continues single parenting his autistic daughter Luna and steps out of his comfort zone and tries stand-up comedy. Jenicka breaks the news to Mike that she will be moving back with Chiquis, and embraces her curves to pursue a plus-size modeling career. Johnny, the youngest of the siblings graduates from high school and opens up publically about his sexuality. Fans can engage on social media by using the hashtag #TheRiveras and find more content about the show on Facebook https://www.facebook.com/TheriverasTV and Instagramhttps://www.instagram.com/theriverastv/. One of Regional Mexican’s top selling female artists, Chiquis Rivera releases her long-awaited sophomore album, “Entre Botellas” today, available now on all streaming and digital retail platforms as well as select physical retailers. The Mexican-American singer, songwriter, television star, and entrepreneur made her grand return following a short hiatus last month with the release of her 3rd single off the album, “Quisieran Tener Mi Lugar”, a duet with her late mother, La Diva, Jenni Rivera. The album, “Entre Botellas”, which was recorded in Los Angeles and executive produced by Edgar Barrera, immediately debuted at #1 on iTunes Top Latin Albums chart. 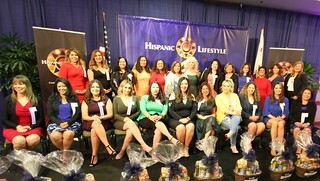 Consisting of 10 songs, the album features the singer’s most recent single, the upbeat duet, “Quisieran Tener Mi Lugar,” a collaboration with her late mother, which has the two women addressing the naysayers together and shows Chiquis’ commitment in continuing to honor her mother’s legacy. Along with this duet, the track list also includes collaborations with her uncle, Juan Rivera on “Gracias A Dios” and Lorenzo Mendez on “Los Chismes.” The album will be available at all physical retailers, with a Deluxe version available at Wal-Mart, which includes acoustic versions of “Lo Que La Vida Me Enseño” and “Horas Extras”, as well as a Digital Deluxe album that includes an acoustic version of “Entre Botellas” available March 16th on all digital/streaming platforms. The singer’s 2015 debut album, “Ahora” catapulted the musical heiress’ career, taking the #1 position on Billboard’s Top Latin Albums chart, selling over 7,000 copies in its’ first week. The successful release earned Chiquis the honor of becoming the first female to top the chart since her mother the year earlier. Nearly 3 years following the release of her debut album, Chiquis returns with a more defined and mature sound. This new album is sure to be a testament to her growth and evolution in both her career and on a personal level. 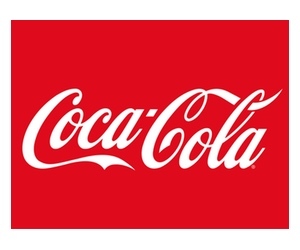 In support of the March 16th release of her sophomore album, “Entre Botellas”, Chiquis will be hosting in-store signings at FYE store locations in Fullerton, CA on March 16th at 6pm and Irving Mall in Dallas, TX on March 21st at 6pm, as well as Mundo Musical in Chicago, IL on March 20th at 6pm. Chiquis will also be participating in Univision’s annual TeletónUSA, #EstamosUnidos on March 23 & 24th, performing her single, “Quisieran Tener Mi Lugar” for the first time on television.